We recently published a leaked list of characters that could be the ones to still make their way on to Mortal Kombat X’s roster. The leaked list, posted weeks ago on GameFAQ’s gained little attention until the recent trailer showing off one of the new characters from the list, Bowmaster Kung Jin. Now, another three characters from that very same list have been leaked separately, adding a tad more credence. Culled from a cut-scene, the leak shows that 3 characters will be coming back. The three, as you could probably surmise from the telling headline, are Major Jackson Briggs, otherwise known as Jax; Sony Blade and Johnny Cage. 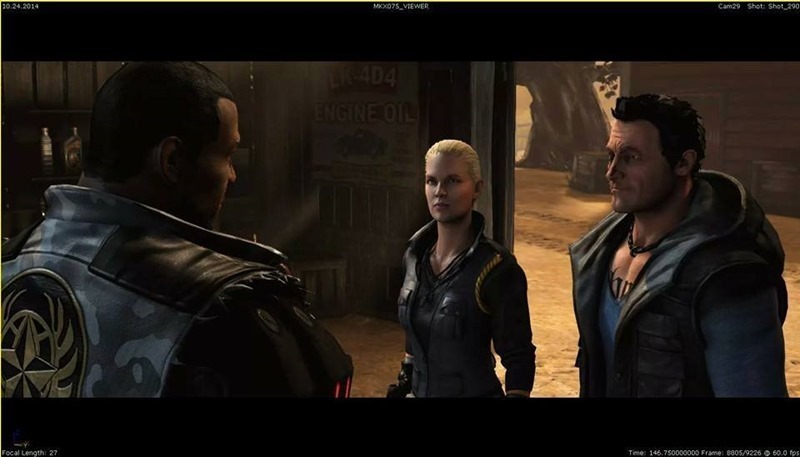 All three of them have offspring in the game: Jax’ daughter Jacqueline is one of the kombatants, as is the daughter of Sonya and Johnny Cage, Cassie. This shouldn’t be too surprising, given that the game’s odd, interesting-looking narrative spans a few decades, making way for some of the old cast’s progeny. While we’re on the subject of progeny – it’s interesting that Kenshi’s kid, Takahashi Takeda is confirmed for the fighter – and Kenshi himself will be making an appearance in the mobile version of the game. Should we expect the blind brawler in the main game too? If so, that would mean 4 additional fighters from the list would have been right. While the list certainly seems genuine, the omission of the toothy Outworlder Baraka has me hoping it’s all a load of speculative nonsense. Mortal Kombat X is out in April.